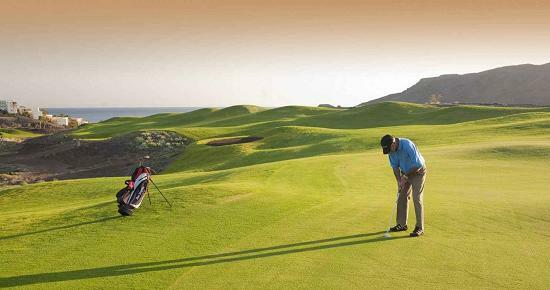 The new 18 hole Playitas Golf course has been designed by the popular Scottish golf course architect John Chilver Stainer whose philosophy was to create a fair but challenging course that would appeal to all levels of golfer. The course has been shaped beautifully utilising the natural hills and valleys in contrast with the surrounding rugged, volcanic mountains and sea views can be enjoyed from almost every hole. Perhaps the most memorable feature of the course has to be the shaping of the greens which require precision with approach shots, the many plateaus and undulations combined with fast bent grass greens can cost even the best of player to suffer those dreaded three putts. 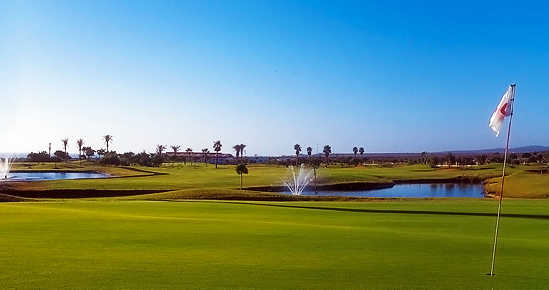 Playitas Golf has four ponds and many waterways which come into play on all but five of the holes so be prepared to stock up on balls in the proshop before you start!! 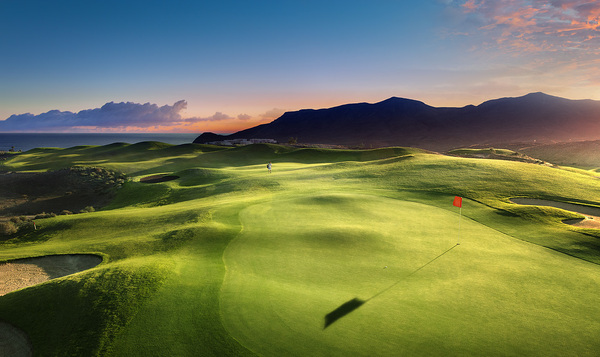 Our signature hole is the Par 3 15th which at 169m with water short and right of the green and the prevailing wind coming from the left requires a committed and well executed shot. 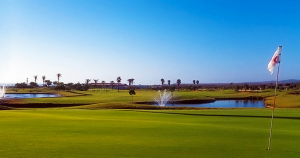 By modern standards the course is relatively short with a Par 67 of 4824m but an exciting mixture of eight Par 3’s, seven Par 4’s and three Par 5’s make it a really enjoyable game of golf which will require every club in the bag.